Last year, housing sales in Istanbul and Ankara, especially in metropolitan areas have decreased significantly, but only re-structured in Şırnak. Construction, which is the engine of the economy, is one of the sectors with the biggest impact of the crisis. According to 2018 figures, housing sales decreased in almost all provinces except Şırnak. The highest decline in housing sales was in Edirne with 14 percent, while in Ankara, Kütahya and Artvin, 13.5 percent and 13 percent in Bingöl. Housing sales in Ankara from 137 thousand 693 to 119 thousand 66, Istanbul, 215 thousand 451 to 207 thousand 514, and 75 thousand 879 in Izmir 68 thousand 712 regressed. The highest increase in housing sales by 11% in 2018 compared to the same period of the previous year was in Şırnak with 143%, while Edirne was the head of the decline with 14%. While the average of the decline in some big cities approached 10 percent, the highest increases were observed in Anatolia. In the mentioned period, the highest increase in housing sales was recorded in Şırnak with 143 percent. Şırnak was followed by Muş with 26.5 percent, Gümüşhane with 26 percent and Burdur with 24 percent. In 11 months of 2018, 1159 houses were sold in Şırnak, 1156 in Muş, 797 in Gümüşhane and 347 in Burdur. Other provinces with the highest increase are Aksaray with 17 percent, Yalova with 16 percent, Hakkari and Ardahan with 12.5 percent, Erzincan and Düzce with 11.5 percent, Giresun with 11 percent and Adıyaman with 10 percent It was listed as Kastamonu. 5 percent in Antalya, Sanliurfa and Hatay, 4 percent in Samsun, 3 percent in Kahramanmaras, Balıkesir, Van and Mersin increased by 2 percent. In January-November 2018, Edirne was the city with the highest rate of sales of 14 percent compared to the same period of the previous year. 13.5 percent in Ankara, Kütahya and Artvin and 13 percent in Bingöl. 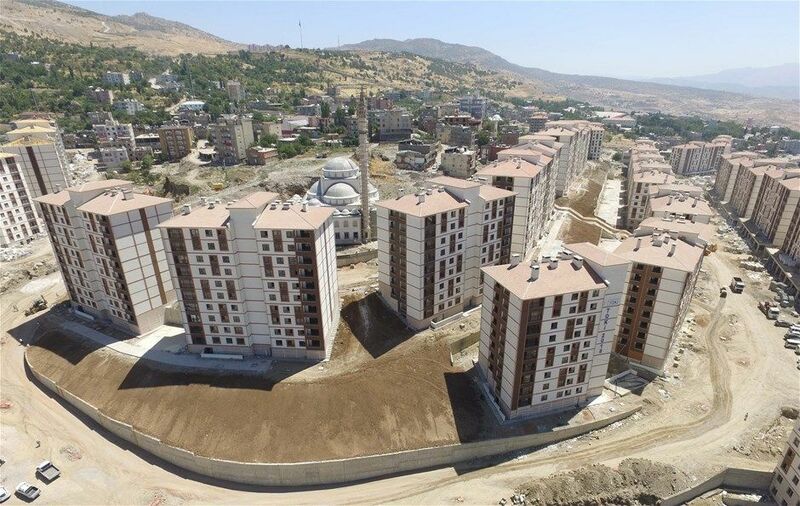 In the mentioned period, 5 thousand 715 in Edirne, 119 thousand 66 in Ankara, 8 thousand 176 in Kütahya, thousand 155 thousand in Artvin, 2 thousand 998 housing units in Bingöl took place. Other provinces with the highest decline are Karaman with 12 percent, Bilecik with 11 percent, Bayburt with 10 percent, Elazığ with 9.5 percent, Izmir and Bursa, Rize with 9.22 percent, Diyarbakır with 9 percent Eskişehir was listed as Tekirdağ and Kocaeli with 7.5 percent. Turkey's most populous city housing sales in 2018 drew attention decline in 11 months. Following the declines in Ankara, Izmir, Bursa and Diyarbakir, the decline in Istanbul exceeded 3.5 percent. In the said period, the number of housing sales in Ankara from 137 thousand 693 to 119 thousand 66, in Istanbul from 215 thousand 451 to 207 thousand 514, Izmir 75 thousand 879 to 68 thousand 712, Bursa ' from 51 thousand 92 to 46 thousand 277, in Diyarbakır from 17 thousand 745 to 16 thousand 199, in Eskişehir from 22 thousand 464 to 20 thousand 563, in Kocaeli 35 thousand 180 to 32 thousand 592, Tekirdag, 30 thousand 319 to 28 thousand 93, Kayseri, from 27 thousand 829 to 26 thousand 430 fell. 18 thousand 627 in Ankara, 7 thousand 937 in Istanbul, 7 thousand 167 less homes in Izmir were sold. The decline in the number of residential units in these 3 metropolitan areas reached 33 thousand 731. Fuzulev Chairman of the Board Eyüp Akbal, told AA correspondent, "Despite the sharp movements in the exchange rates and all the negative effects of the exchange rates, home sales fell to only 3 percent," he said. Akbal pointed out the decline in major cities in the said period, but noted significant increases in Anatolia. Akbal, the fact that these declines in big cities did not reflect the total figures was due to the fact that the Anatolian cities gathered their sales. So in 2018, the Anatolian sales of home sales have been carried out.